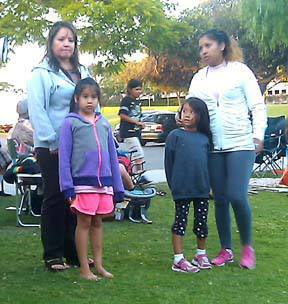 Our Soaring Eagle summer dance workshop is June 19, 2013 and is held in Pepper tree grove, Balboa Park. The food was good and the weather pleasant for dancing. This evening was a fine reflection of the devotion and dedication of our Soaring Eagle parents, volunteers, Indian Education staff, dance instructor, Chuck Cadotte and mentors. 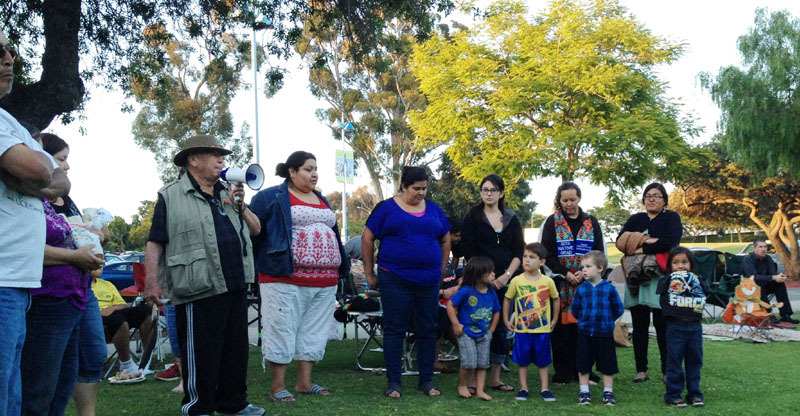 Contact: the SDUSD Indian Education program coordinator: Connie Greybull at 619-293-4427. Tonight she and Teddy Fisher, Parent Committee President introduced the Parent Committee members. Chair Estelle Fisher, Vice Chair Jennifer Garcia, Sec Diane Williams, Parent Rep Ann Koll, Community Rep Chuck Cadotte, Elder Advisor Randy Edmonds, Soaring Eagles Rep Vickie Gambala. The Soaring Eagle youth program is all about the children. This quality of dedication was evident in the initiative, joy, pride of tribal identity and participation from beginning to end of the parents and children of the Soaring Eagles. For Soaring Eagle contact, presentations or information call Vickie Gambala at 619-266-2887 and VickieGambala@gmail.com. 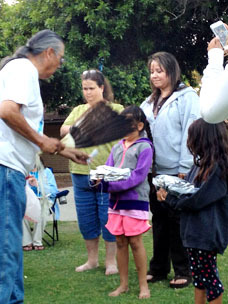 Thank you all for being there this summer solstice evening for the Indian children. It is all good, Mehan and Aho.